Probably one of the busiest establishments to have opened in Birmingham this year, Alfie Bird's works as a restaurant, bar and music venue in a very clever way. That explains why any time you visit Custard Factory, it's expected to see loads of people in (and around) Alfie Birds. The secret of its success is behind the creative minds of Damien Fell and Andrew Purvis who came up with the idea of revitalising the space, bringing the gourmet eats & beats concept to the heart of Digbeth. And they did well because Custard Factory keeps buzzing in great style since Alfie Bird's opening. I visited the place in the same weekend when City of Colours Festival was being held in the area. It was a sunny Sunday afternoon and the first thing I heard from the staff was they had run out of tap beer that day. For me, it was just another sign that the business was doing pretty well. Then I also knew they were opened from 10 am to 5 am that day before. Good grief! But there was no quiet atmosphere or grumpiness in the place. On the contrary, Alfie Birds that day was a very warm and welcoming with ambient music, which prepared me to face a nice gourmet pizza menu. Pizzas are big deals in Brazil. 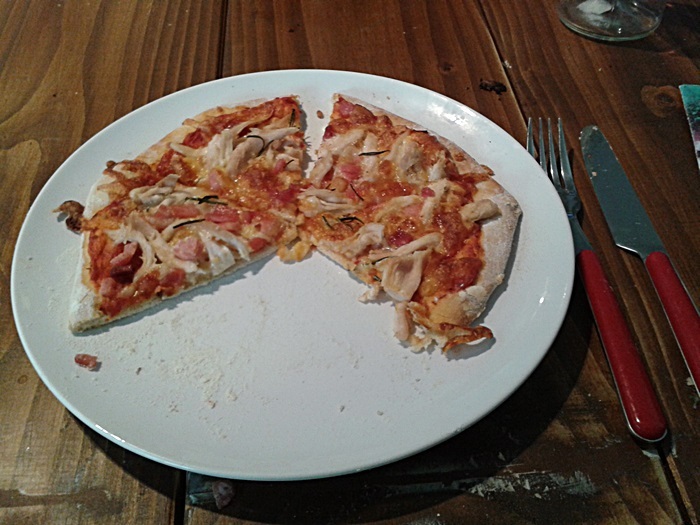 We love our pizzerias (especially from Sao Paulo) and I am glad Alfie Birds offers an original stone-baked pizza. No tap beer but plenty of other drinks in bottles kept the afternoon going on while we were listening to the wonderful music of Namiwa Jazz. By the way, music is something Alfie Birds has invested in massively. 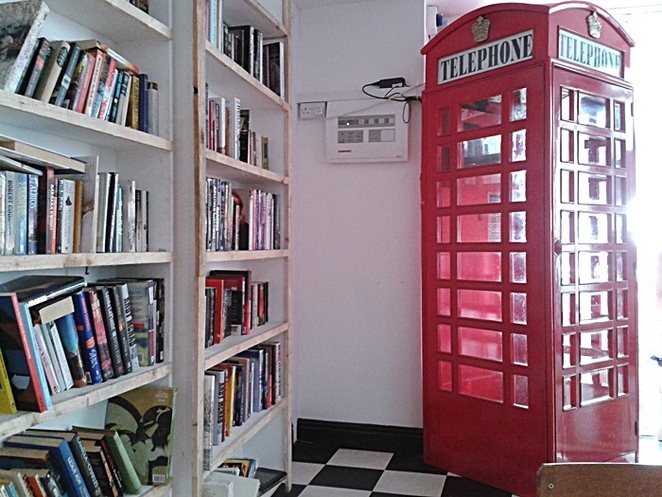 Not just with the acoustic sessions on Sundays but also at [B The Oobleck[/B], a space "hidden behind a library door" responsible for the gigs and music events that keep the vibe and public updated at Custard Factory. This month, for example, the well known Brazilian Dj Marky will perform and even names such as Eric Martin- ex Mr.Big- also has a gig scheduled for December. Burgers, breakfast and brunch are also other great features of Alfie Birds. With really special weekly deals it's possible to eat and drink well in the place without spending too much. 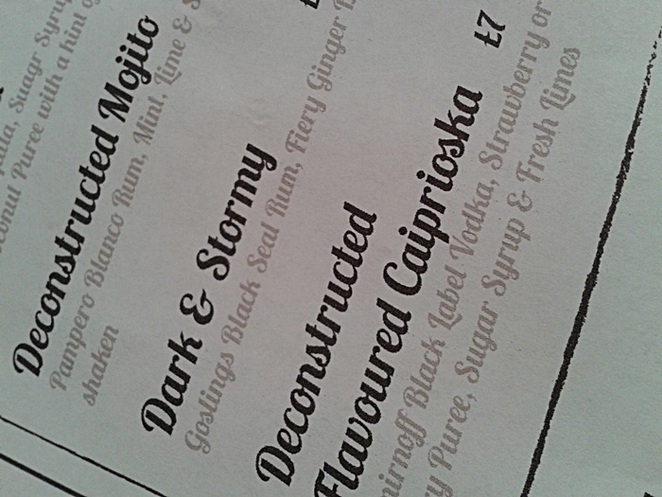 Drinks: I had a couple of glasses of wine there, but some cocktails with curious names had caught my eyes. I never tried a deconstructed flavoured caipirinha before and it's tempting. 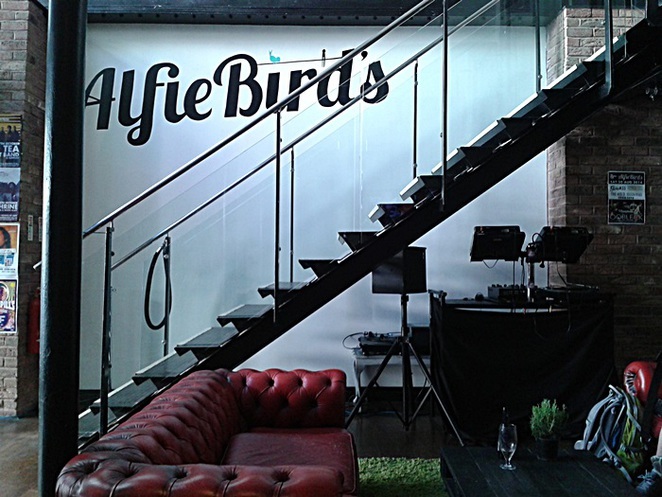 Alfie Birds seems to keep the atmosphere up in Digbeth. It's a nice bar to meet friends for some drinks or a nice breakfast. 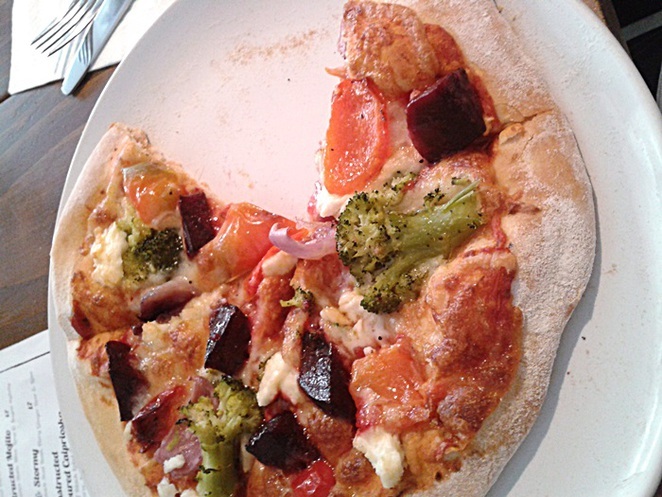 To catch up with what's new in music or even grab that special slice of pizza.